There is increasing pressure on China’s manufacturing industry to make concerted efforts to minimise their impact on the environment. Although the paper industry is seen by many as a major contributor to environmental degradation, Mrs Yuan Xiaoyu, Head of Public & Government Affairs for UPM China, says that many countries around the world with strong paper manufacturing bases have proven that this needn’t be the case. The key is to place environmental sustainability as a top priority and to ensure that executive management teams take environmental issues into strategic considerations. China has emerged as a manufacturing powerhouse with the world’s largest industrial output of steel, cement and paper, among others, in the past few years. Therefore, in addition to the emissions caused by power generation and automobiles, emissions from manufacturing industries in China are now acknowledged as one of root causes of the China’s deteriorating environment. From 1st January, 2015, companies will need to be more transparent with their disclosure of emissions data, or face more serious consequences. Enterprises found guilty of not disclosing emissions data, or disclosing false information, will face fines and have their violation made public. The paper industry in China has come under particular scrutiny following its rapid expansion as it is one of the largest consumers of power, uses huge amounts of water resources and has generated significant amounts of pollution. Does it have to be this way though? If we look at countries such as Finland, Sweden and Denmark, they all have strong manufacturing bases for various products, including paper, yet they are ranked among the most liveable places in the world. How is this possible? It’s because enterprises engaged in manufacturing in these countries are equally engaged with the development of environmental protection technologies. In Finland, for example, the pulp and paper industry has remained a pillar industry in its national economy for decades without negatively impacting the environment. Finland is home to UPM, and for more than a hundred years we have been treating environmental sustainability as a top priority in our daily operations, and our executive management team have always taken environmental issues into strategic considerations. This same practice was been adopted when we first started to invest in China in 1998. It is important that we, and all of our subsidiaries, follow the same standards across the globe. When Kim Poulsen, Executive Vice President of UPM Paper Asia, moved to China in early 2013, the heavy smog in Shanghai later that year made him concerned about the health of his daughter, and he temporarily sent her back to Finland. It led him to understand that environmental protection in China requires all parties—companies, organisations and the general public—to take actions to minimise emissions and reduce negative impacts on the environment. He then started to think about the investment plan to build a new boiler in Changshu, Jiangsu Province that UPM approved in 2012, which he had been asked to analyse before the company went ahead with the project. After serious consideration, the company finally decided not to build the new boiler and instead made the existing boilers more environmentally friendly by adding world class filtration technology. 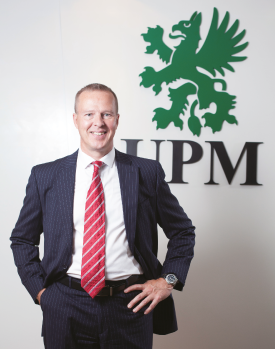 “We are hungry to deliver short-term profits but are not willing to do it by compromising UPM group values, policies and our long-term strategy. We don’t like to come to China and take the resources, land, water and air for granted. We treat the air as if it were our own air,” says Poulsen. Over the years investment in the Changshu Mill has been made to optimise production and reduce raw material consumption, lower emissions and increase energy efficiency. Stricter monitoring of waste water and air emissions has been adopted, and third-party environmental audits have been carried out once or twice a year. On top of that, annual water discharge and air emissions improvement targets have been set. Since 2010, the mill at Changshu has been publishing annual environmental performance reports in accordance with the EU’s Eco-Management and Audit Scheme (EMAS) requirements. 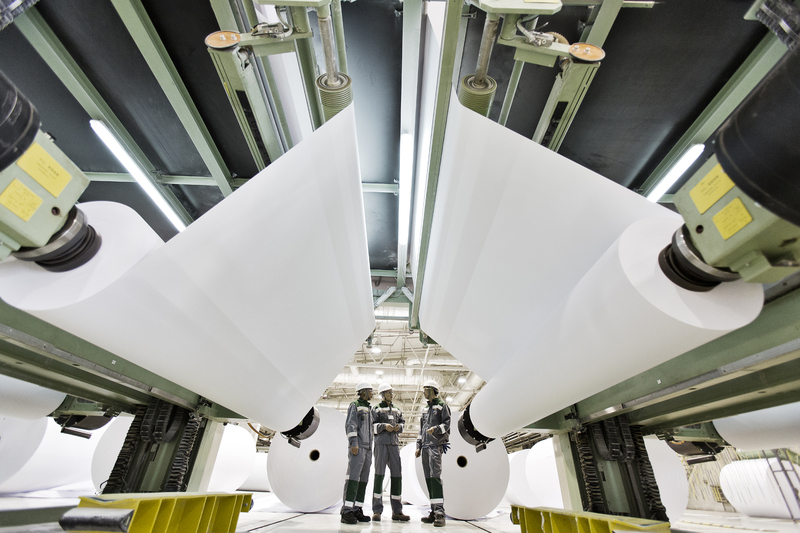 Based on these efforts, the amount of energy used to produce 1 ton of paper at UPM’s mill in Changshu is 65 per cent lower than it was 10 years ago, and the plant now uses only 25 per cent of the amount of water set by the China paper industry to produce one ton of paper. Many leading manufacturing companies from Europe have proven that sustainable practices can bring favourable outcomes for both the economy and the environment; with the right approach and application this can be true in China too. Through the renewing of the bio and forest industries, UPM is building a sustainable future across six business areas: UPM Biorefining, UPM Energy, UPM Raflatac, UPM Paper Asia, UPM Paper Europe and North America and UPM Plywood. The group employs around 21,000 people with annual sales of approximately EUR 10 billion. Since 1998 UPM has invested nearly USD 2 billion in its Changshu mill in Jiangsu Province. 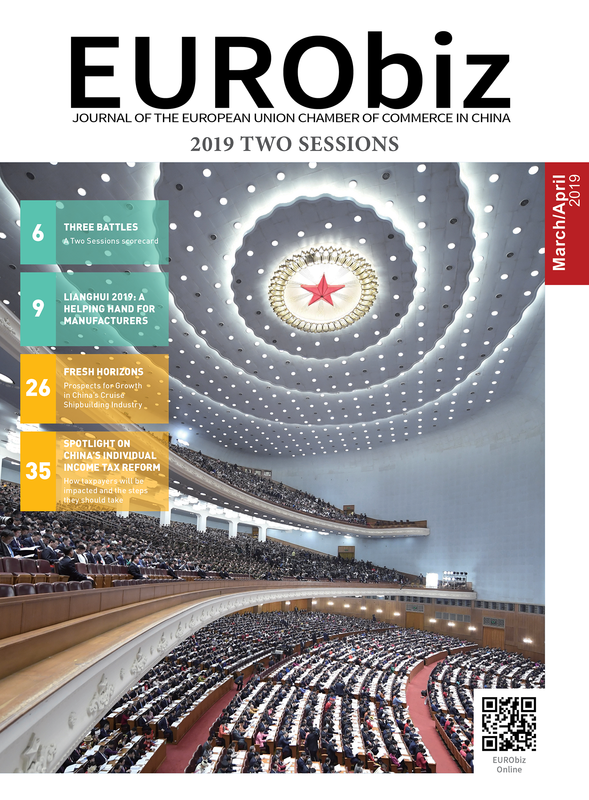 Environmental Protection Law of the People’s Republic of China, Article 59, translated by EU-China Environmental Governance Programme, 24th April, 2014. Environmental Protection Law of the People’s Republic of China, Article 62, translated by the EU-China Environmental Governance Programme, 24th April, 2014. Share the post "A clean sheet: environmental sustainability in the paper manufacturing industry"